An easy to use two part fast setting resin/hardener system. This adhesive is ideal for quick repairs and general bonding around the boat and in the home the workshop or garage. It is suited for spot applications to hold component parts in position whilst bonding is completed with WEST SYSTEM epoxy. 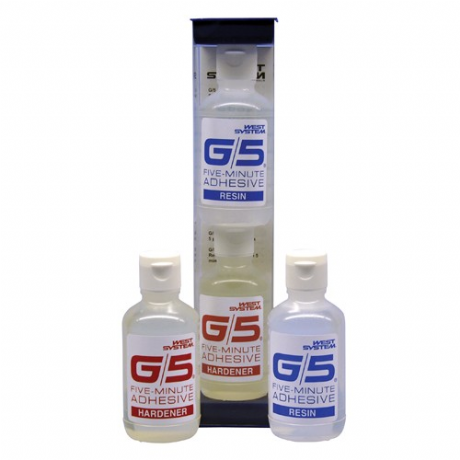 G5 will adhere to most prepared surfaces including wood fibreglass and most metal and cures in 4-5 minutes.